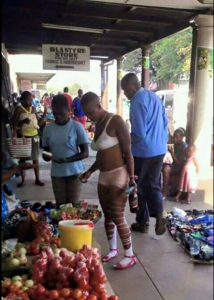 A lady was spotted in her bra and underwear as she visited a market in Malawi to buy some things. 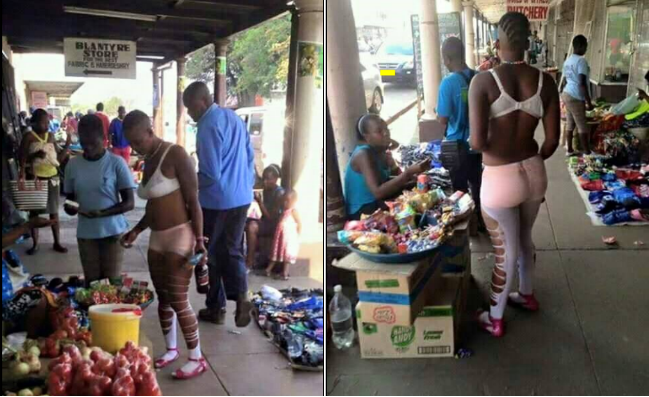 The lady appeared undisturbed, signs that she has worn worse! 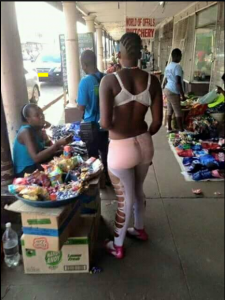 She walked freely in front of shocked passersby. The photos are currently trending online!